Comment: We have a stone walled stream and the walls need repair. Comment: We would like 160' of brick pavers laid in a straight or herringbone pattern for ada accessibility to our outdoor classroom seating. Comment: Most of a decorative brick wall was knocked over during construction of a trench nearby. I'd like the wall re-built. All the bricks are still on site. Comment: Want to raise a section of a brick wall and add a decretive brick screen to another. Landscape Designs by Carl, Inc.
Raleigh Brick & Stone Masonry Contractors are rated 4.77 out of 5 based on 422 reviews of 33 pros. 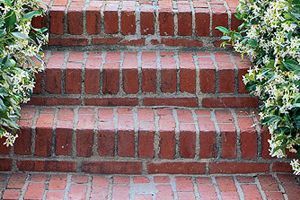 Not Looking for Brick & Stone Contractors in Raleigh, NC?